Indeed the Spiritual Association of the Church of Scientology – Celebrity Centre (ASES-CC) had brought the UNADFI association before the Paris Court, arguing that the association had abused the legal process by acting as plaintiff against the Church in a trial that took place in 2009 for the first instance and in 2011 for the appeal. The Church of Scientology felt that this abusive application as a plaintiff had contaminated the court proceedings, and that the bad faith of UNADFI was evidenced by the fact that it knew very well that it was inadmissible and that its sole purpose was to harm the Church and illegally influence the judicial proceedings in progress. In its judgment of 20 November 2015, the Paris Court of Appeal had agreed with the Church of Scientology acknowledging that it was « certain that the presence of UNADFI influenced the proceedings of the trial and the content of the debates » and ruled that the bad faith of UNADFI was established. The Court had also judged that the words written by ASES-CC “This request is the result of the arrogance of an association present at all levels of the State, knowing that it is supported by MIVILUDES and the Ministry of Justice, providing for more than 13 years training to the judges, and that all major ministries, including the Prime Minister, funded with hundreds of thousands of euros », were not defamatory. UNADFI had been ordered to pay 21,000 euros to ASES-CC and its members. 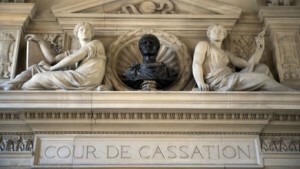 It had made an appeal before the Court of Cassation. It is this decision which the Court of Cassation confirmed today, rejecting all the claims of the UNADFI, considering that it was obvious that the arguments raised by the UNADFI could not lead to the quashing of the judgment.